Flight Centre’s hotel management arm has expanded its Away brand into Bali. 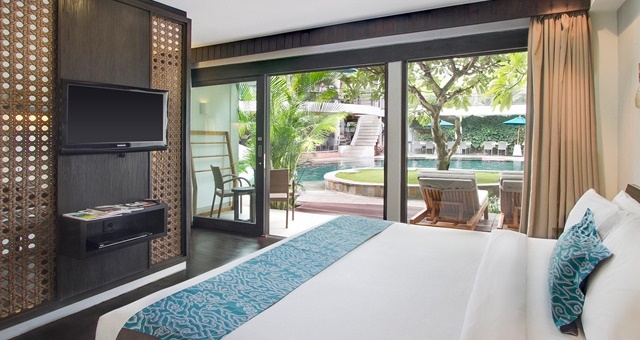 Flight Centre will rename and assume management rights of The Camakila Legian Resort in Bali, installing the Away brand at the property under its in-house hotel management division, BHMA. The 117-room resort will be known as Away Bali Legian Camakila under the 10-year lease agreement, which marks BHMA’s 22nd operating hotel overall and sixth under the Away brand. Away Bali Legian Camakila is located between Kuta and Seminyak and offers a lagoon swimming pool, beachfront pool, two restaurants, fitness centre, day spa and space for meetings and events. Its addition continues the growth of BHMA, which last year said its core focus was to secure prime beachfront resort locations in Phuket and Bali, which it has now achieved. Whereas all current properties in the BHMA network operate under a management right agreement, the new addition is significant as it marks the first full resort long-term lease – a move BHMA says can only be achieved in a location where strong guest demand remains sustainable to minimise risk and maximise returns for shareholders. BHMA Chief Executive Peter Lucas said the new resort would be an excellent addition to the burgeoning Flight Centre global network. “We are excited to deploy of our Away brand into Bali, we know that it will resonate with those guests wanting to get away from it all without forgoing life’s luxuries, and there is no better place to do that, than Away Bali Legian Camakila,’’ he said.